We handle all aspects of Bankruptcy. At Beehive Advocates, we offer focused, yet personal attention to our clients who are facing a financial crisis. Located in Salt Lake City, we offer services that protect debtors' rights. We know how overwhelming the bankruptcy process can be & that's why we counsel you regarding all your available options. We can help you make an educated decision about how to handle your financial situation — from handling your debt dispute and debt negotiation to the possibility of filing bankruptcy. If you have questions, we have answers. Give us a call today! Depending on your income, the type of debt you owe and what kind of property you own, you may qualify to file for bankruptcy and financial freedom. Every client is different so let an attorney at Beehive Advocates evaluate your financial situation and determine if bankruptcy is an option available to you. Located in Salt Lake City, our law firm works closely with clients throughout the bankruptcy process so they can make important financial decisions together. Together, we can help you determine which bankruptcy is best suited for your needs. Beehive Advocates will make sure your bankruptcy petition is complete and accurate. To schedule a free initial consultation, call (801) 432-2975 or fill out our contact form today. Many times, people just like yourself wait too long to ask about bankruptcy. You can keep your house. You can keep your car. You can keep your personal belongings and your retirement savings. We can answer all your questions. When you are faced with overwhelming consumer debt and are receiving harassing collection calls, bankruptcy can stop the stress and confusion keeping you from living your daily life. Any stigma associated with bankruptcy no longer exists. Today many see filing for bankruptcy to be a wise and educated decision to use bankruptcy as a tool to regain your financial freedom. Our law firm, Beehive Advocates, educates its clients about bankruptcy and keeps its clients informed throughout the bankruptcy process. Located in Salt Lake City, we represent clients in various communities throughout Utah, including Davis, Summit, Weber and Utah Counties. We will answer your bankruptcy questions and help you determine if bankruptcy is the right option for you. Beehive Advocates focuses on Chapter 7 and Chapter 13 bankruptcy. Depending on whether you need to discharge your debt immediately or want to establish a debt reorganization plan to pay off the debt over a period of time, our dedicated bankruptcy lawyers will always stand by your side. With our assistance, you can be sure that the bankruptcy process will be complete and accurate, so you get your fresh start and regain your financial freedom. There are eligibility requirements to file for Chapter 7 bankruptcy and, depending on your situation, you may benefit from filing Chapter 13 bankruptcy instead. Our firm will take the time to understand your needs and help determine the best course of action under your unique circumstances. Those who have a substantial amount of debt and problems paying their bills may receive long-term benefits by filing for Chapter 13 bankruptcy. Chapter 13 bankruptcy is beneficial for individuals who have a steady income and who want to protect their secured assets. With the assistance of an experienced bankruptcy lawyer, you can establish a repayment plan that allows you to pay off a portion or all of your debt over three to five years. Our law firm, Beehive Advocates, is dedicated to helping clients through the bankruptcy process and protecting their financial future from further harm. Located in Salt Lake City, we provide direct and open communication with our clients to better understand their concerns. Filing for Chapter 13 bankruptcy can stop foreclosure, stop repossession, stop harassing creditors, and stop wage garnishment. You have the chance to pay off your debt on your own terms while keeping the things you value the most. Making the decision to file for bankruptcy could be one of the most important decisions in your life. Our attorneys will guide your petition through the bankruptcy process, so you can regain your financial freedom. Should I File for Chapter 13 Bankruptcy? Settle unsecured debt within three to five years. We will carefully evaluate your case and help you determine what cost-effective options are available. Are creditors calling you at work and at home during unusual hours? Are you receiving threats of foreclosure, repossession or even litigation? When consumers are behind on their mortgage payments or credit card bills, creditors often use abusive and threatening collection practices that violate your rights. Under the Fair Debt Collection Practices Act (FDCPA), consumers like you are protected from creditor harassment and have the right to sue the debt collector and recover damages when it happens. In addition to dealing with your overwhelming debt, receiving constant harassment can make life more difficult than it should be. Overly aggressive creditor harassment is illegal. Our law firm, Beehive Advocates, offers services that help clients complete the bankruptcy process accurately and will notify creditors to stop the harassment. Located in Salt Lake City, Beehive Advocates will evaluate your financial situation and protect your consumer rights with focused determination. Filing for Chapter 7 or Chapter 13 bankruptcy will protect you from creditors immediately. It can also stop foreclosure, wage garnishment, and the potential litigation. Even before filing for bankruptcy, we can send your creditors a cease and desist letter to stop further communication with you. If harassment persists, we will aggressively protect your rights and pursue necessary action. When you are receiving notices from your mortgage lender for home foreclosure, the idea of losing your home is unbearable. Home foreclosures are increasing year by year due in part to predatory lending practices and an unstable mortgage industry. Beehive Advocates will evaluate the options available to you. We can stop foreclosure. Located in Salt Lake City, our top priority at Beehive Advocates is helping clients find effective options to obtain debt relief and stop the foreclosure process. We understand that your house is not just another secured asset, it is your family’s home. We are determined to help you today. Our firm works diligently to help you determine all the options available to stop foreclosure. Bankruptcy may be one of those options. By taking the time to listen to your concerns, we can determine which options benefit your specific needs. If we determine that filing for Chapter 7 or Chapter 13 bankruptcy works best for you, we will make sure the process is completed accurately and correctly the first time. Are you receiving threats of wage garnishment from your creditors? In addition to dealing with financial complications, facing wage garnishment can make your life harder to live. It not only makes it hard for you but also providing for your family. Fortunately, you have an option to stop garnishments while dealing with overwhelming debt by working with Beehive Advocates. Our lawyers at Beehive Advocates, located in Salt Lake City, help clients who are facing financial hardships obtain debt relief through creditor negotiation and sometimes bankruptcy. If you are eligible for bankruptcy, you can prevent garnishment before it starts or keeps it from continuously affecting your income. In order to best meet your needs, we take the time to address your concerns and evaluate your current financial situation. If your wage garnishment is affecting your income, filing for bankruptcy can stop garnishment and stop further creditor harassment. Whether you file for Chapter 7 or Chapter 13 bankruptcy, once you file you are protected by an automatic stay from your creditors. This court order prevents creditors from garnishing your wages and pursuing other actions to repay debt. Our law firm offers services that can help you throughout the bankruptcy process. Together, we can determine what options can allow you to get a fresh start. When you are dealing with overwhelming debt, your options may seem limited and out of your control. Unable to pay your mortgage, high-interest credit card bills, medical bills and other expenses can leave you struggling to find an answer. 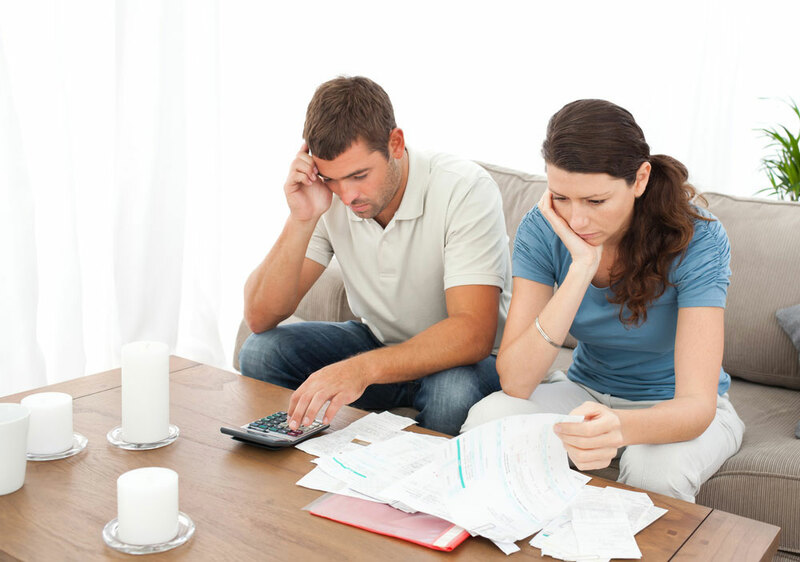 Regardless of what hardships you are dealing with, there are options for debt relief. 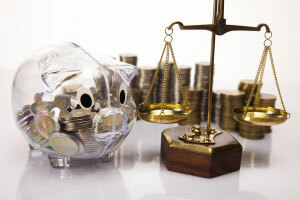 As an alternative to bankruptcy, seeking a debt settlement is another option you could pursue. Let us help you overcome these hardships and get a fresh start to your financial future. At the law firm Beehive Advocates, our talented lawyers are dedicated to helping clients obtain debt relief and seek alternatives to bankruptcy. Located in Salt Lake City, we consider what is in the best interest of our clients and customize our services to meet their long-term goals. Client involvement is very important to us, and the decisions you make now will impact your life in many ways. With our assistance, you will be able to make educated decisions that can help regain financial freedom. We understand bankruptcy is not right for everyone and we can help you determine a debt settlement option that is right for you. Beehive Advocates will negotiate with your creditors to establish a debt settlement agreement that may enable you to pay a mere fraction of your debt. Obtaining a debt settlement agreement may be an option for those debtors who also have a steady income. Beehive Advocates will counsel you on your options for debt relief. Not only are we a debt relief agency, but we file taxes as well! There are various types of tax return preparers including certified public accountants, enrolled agents, attorneys, as well as many others who don’t have professional credentials. Because you are sharing the details of your financial life, you should expect your preparer to be skilled in tax preparation and to accurately file your income tax return. Additionally, you should be able to trust him or her with your most personal information. Most tax return preparers provide outstanding and professional tax service. However, each year, some taxpayers are hurt financially because they choose the wrong tax return preparer. At Beehive Advocates, we love helping people avoid paying more than their share of taxes. We are focused on providing great service with accurate tax preparation. There is no study of tax law that can compare with the experience that comes from preparing thousands of returns. For over ten years, we have been able to help our clients not only deal with current tax issues but to plan effectively for the future. At Beehive Advocates, we love seeing old friends each year when they return to have their taxes done again. Come see us today! To schedule a free initial consultation, call (801) 432-2975 or fill out our contact form today. We are a debt relief agency. We help people file for bankruptcy relief under the Bankruptcy Code. This firm is great to work with. I’ve been pleased by how simple they made things for me. They have great customer service as well. I would definitely recommend hiring these guys! These guys are seriously the best! From our bankruptcy to our tax needs they’ve been amazing to us. I’d recommend them to anyone! They’re affordable, and they don’t drain your money from you. They have their clients best interest in mind, and they made everything easy! I was very nervous about the whole ordeal, but they were very kind and well-informed. They made me feel welcome and like a long-time friend. Any questions that I had they could answer with supporting information and have taken great care with my case while also being quick about it. I have already started recommending them to everyone I know. If there was an option to rate more then five stars, I would. I can’t even begin to explain how professional and helpful they have been. This is an already stressful process and they do everything in their power to make it easy for you. The attorneys are so kind and their office staff is amazing and very competent. There is always a way for them to help you out and their payment arrangements are so helpful. If you fall behind and are honest and call them and let them know, they will work with you. they won’t add any extra stress to your financial situation. I couldn’t recommend them enough. If you are looking for an attorney to help you out with your bankruptcy process or even taxes, please give them a try!! I wouldn’t of gone anywhere else.